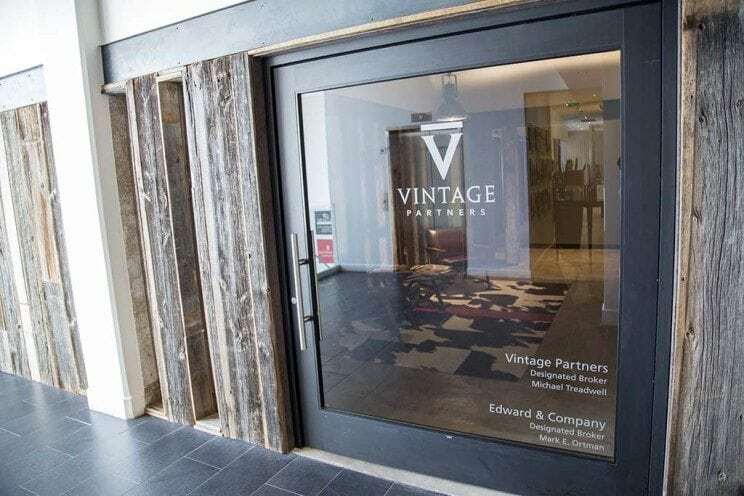 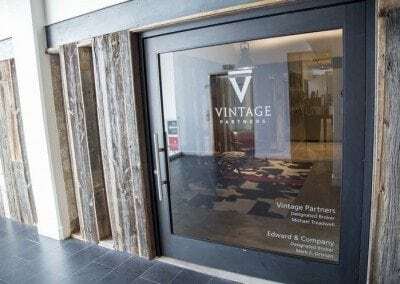 Vintage Partners is a commercial real estate development and investment company located in Phoenix, AZ. 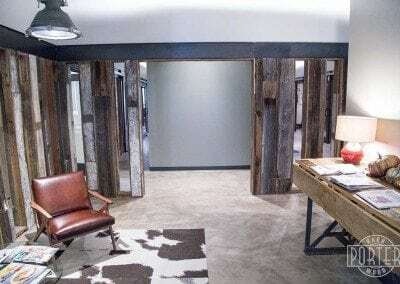 Their office is located on the 2nd floor of the Biltmore Fashion Park near the shopping center’s offices. 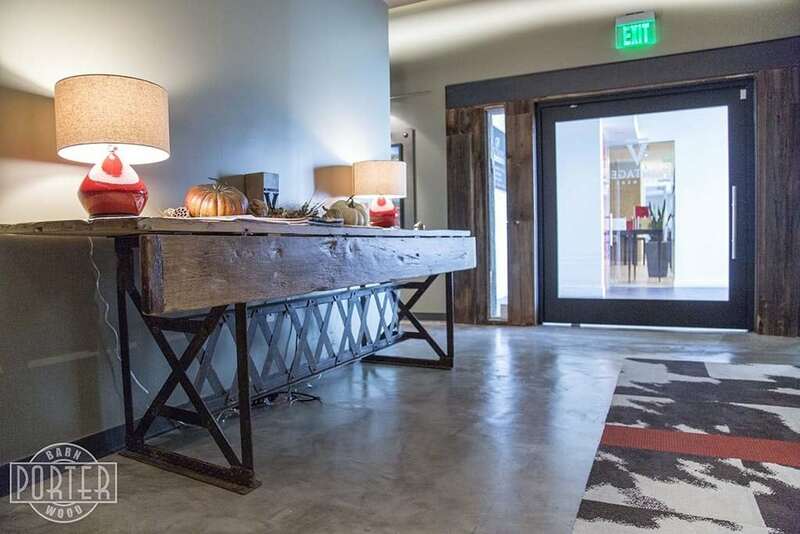 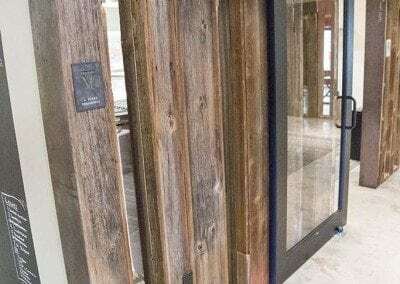 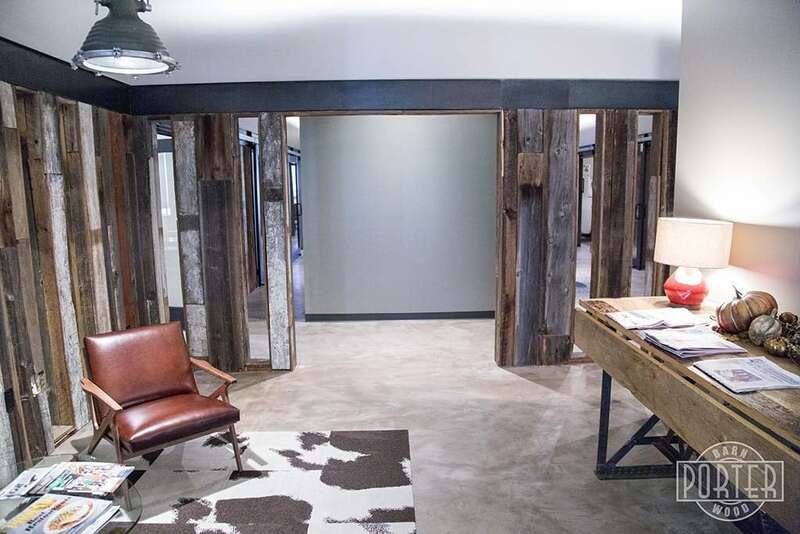 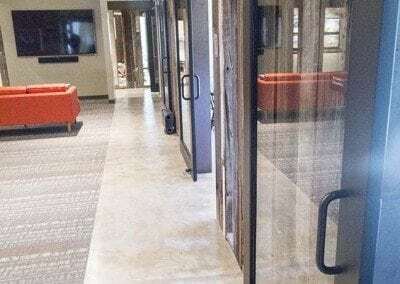 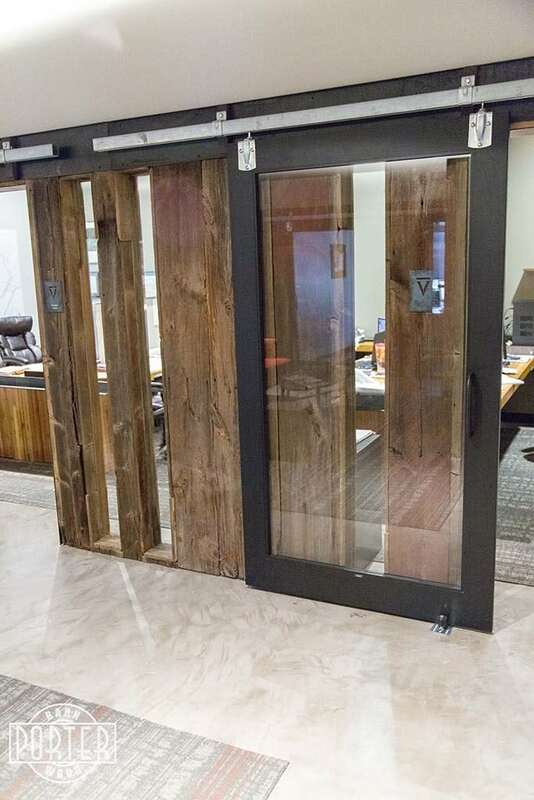 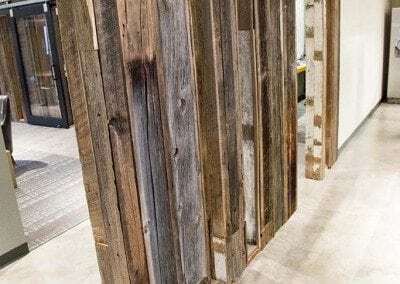 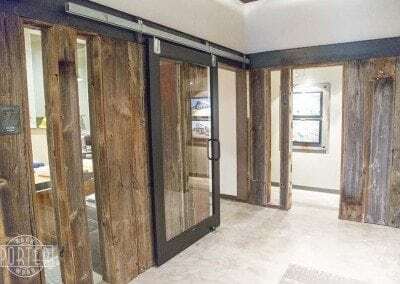 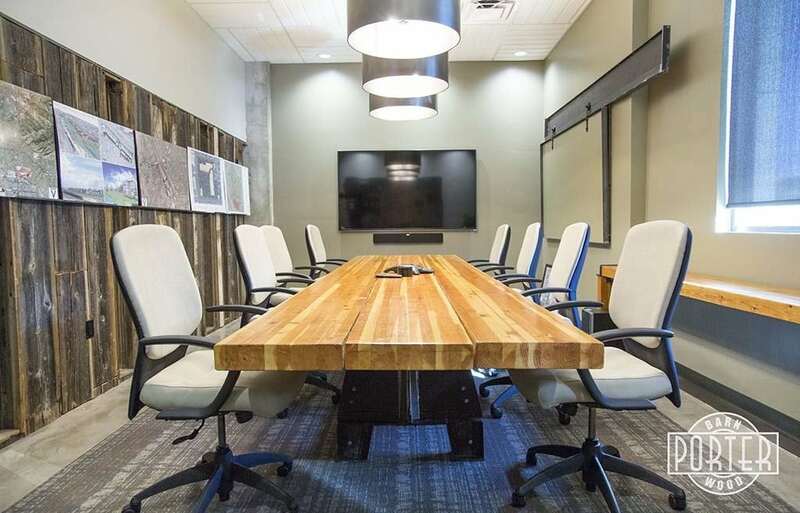 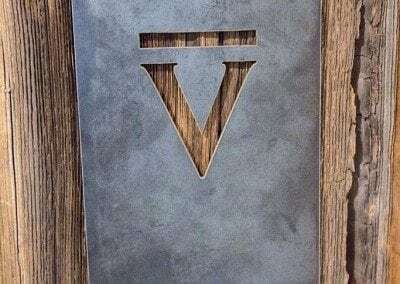 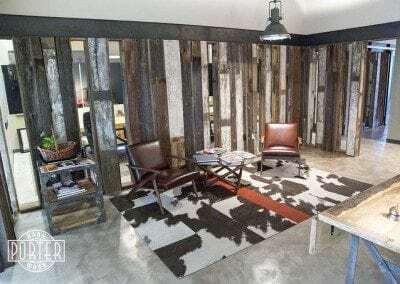 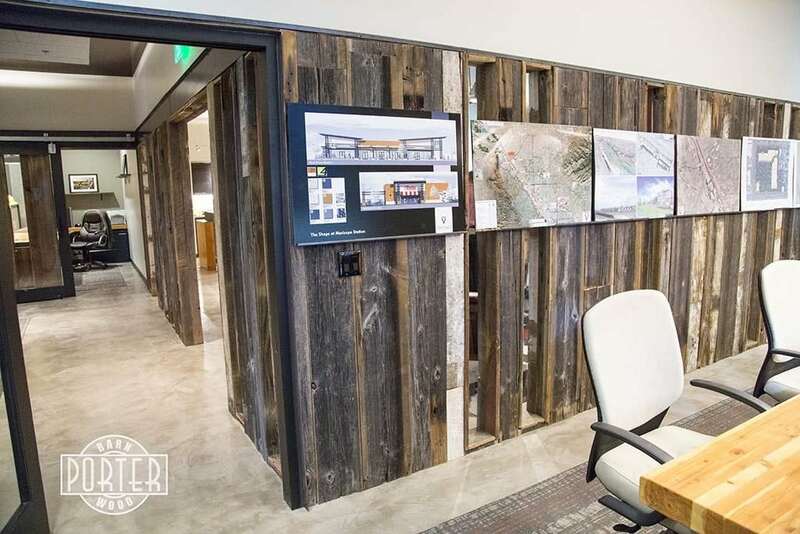 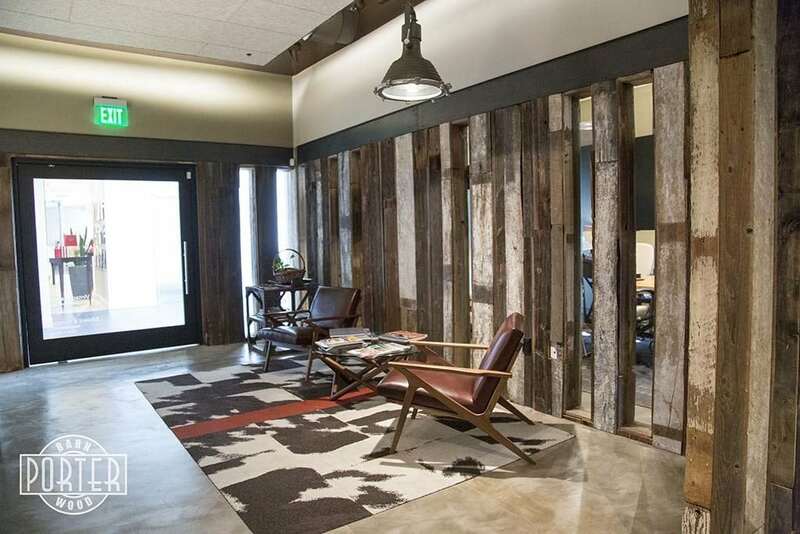 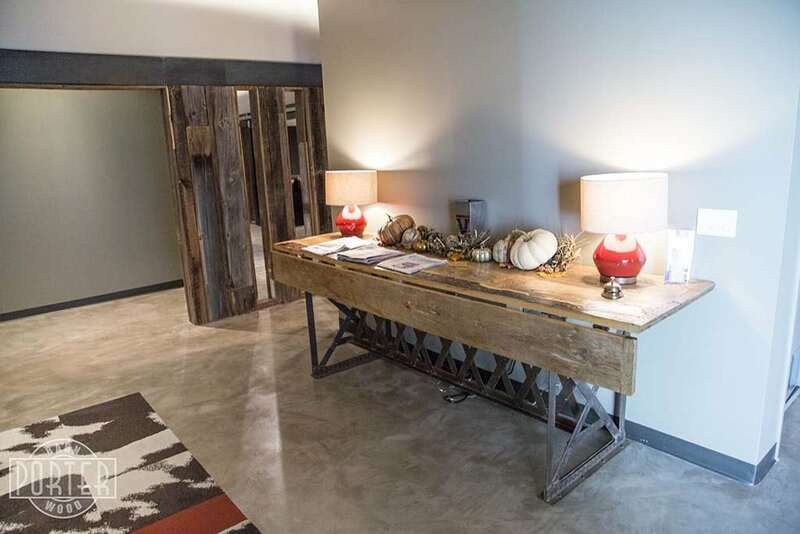 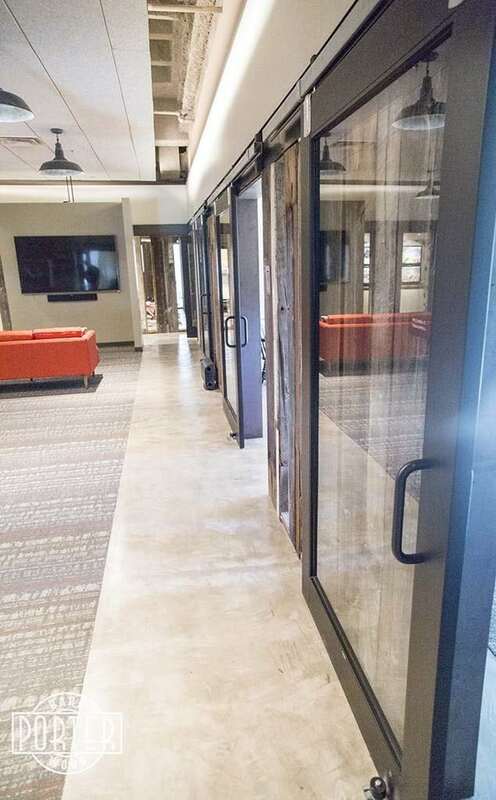 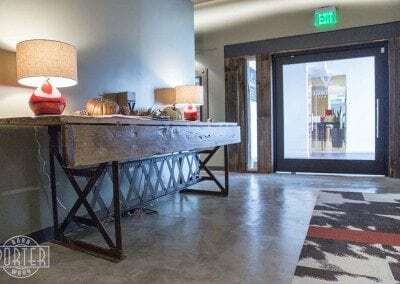 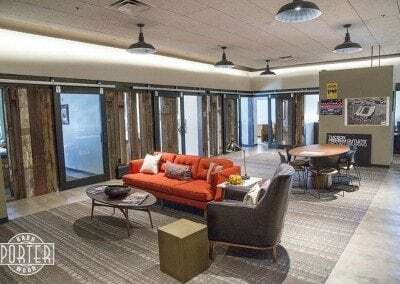 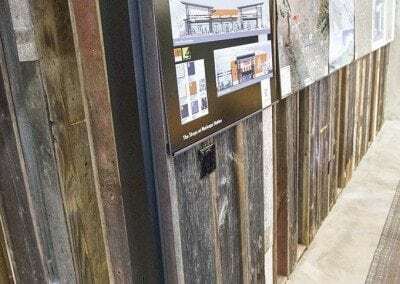 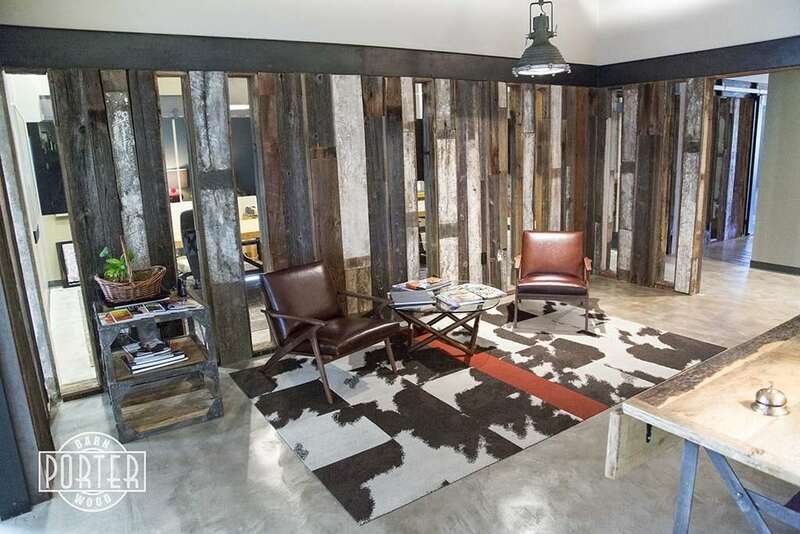 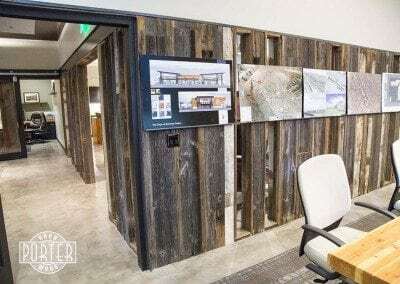 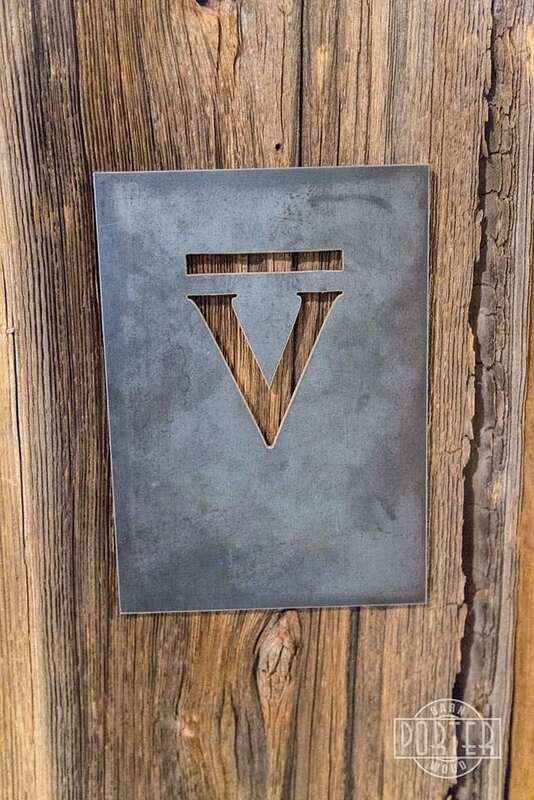 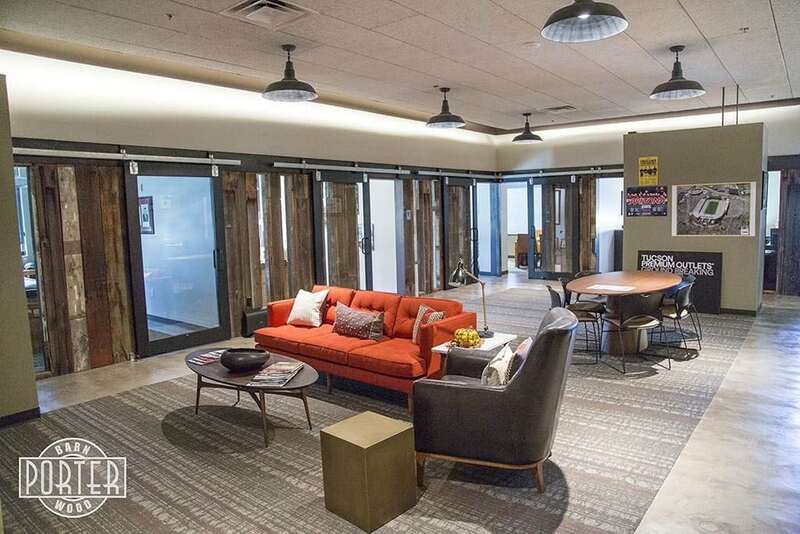 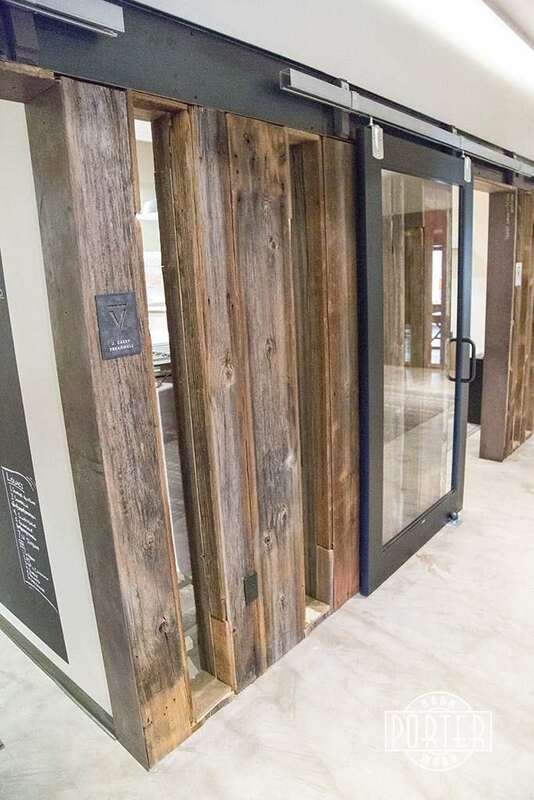 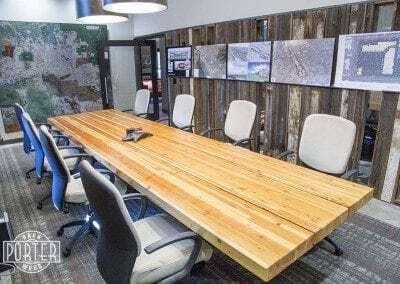 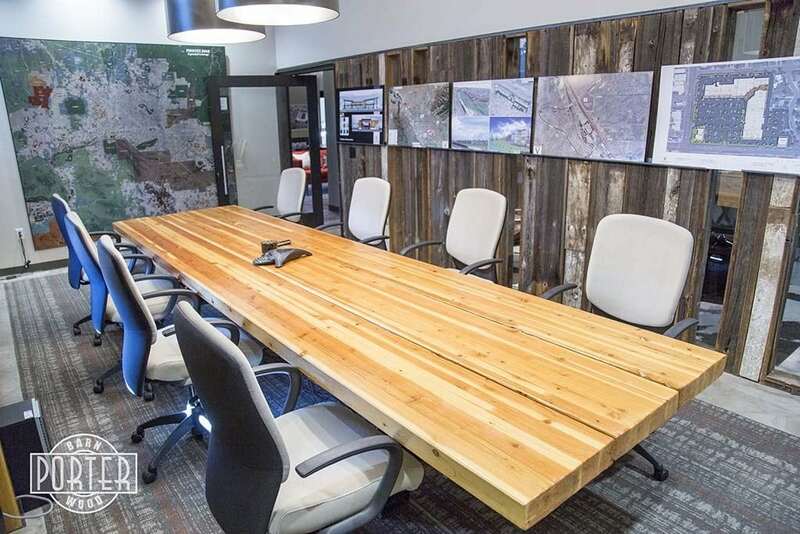 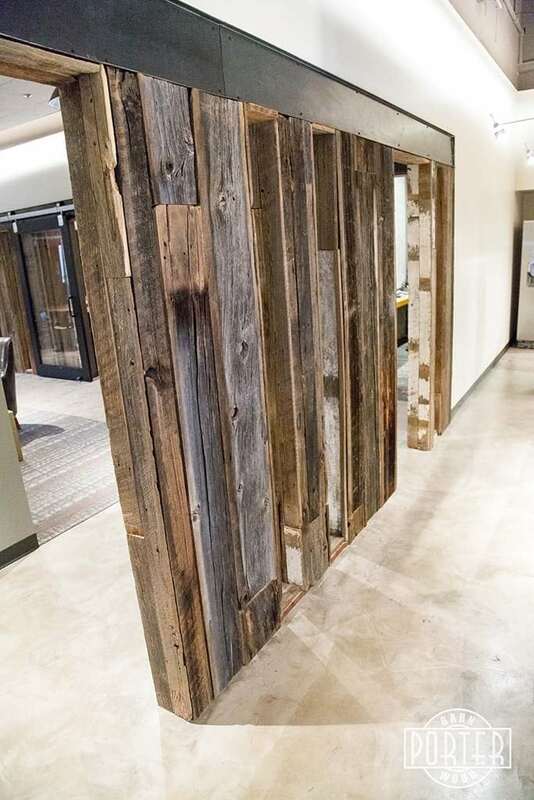 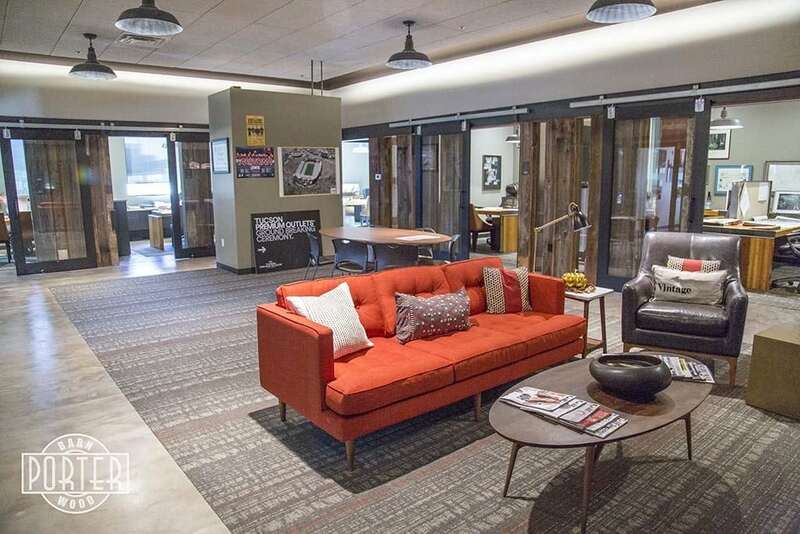 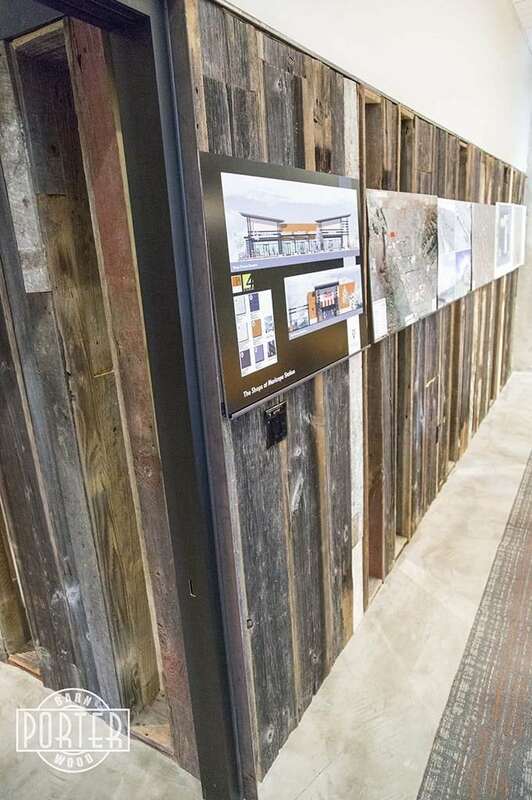 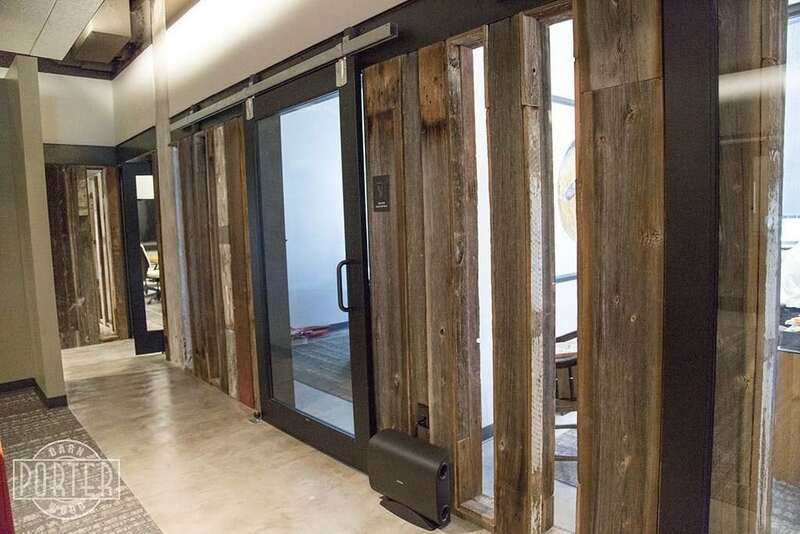 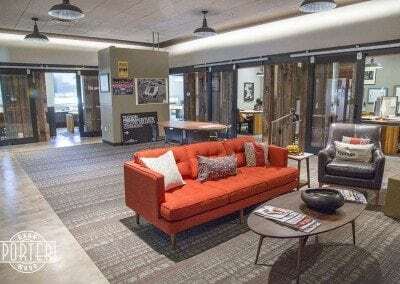 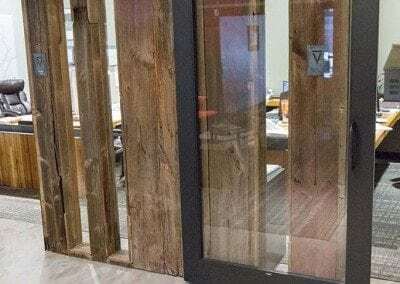 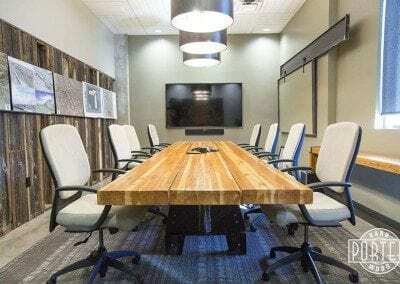 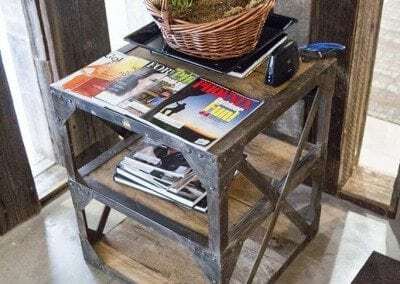 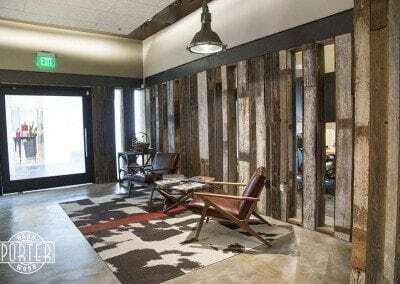 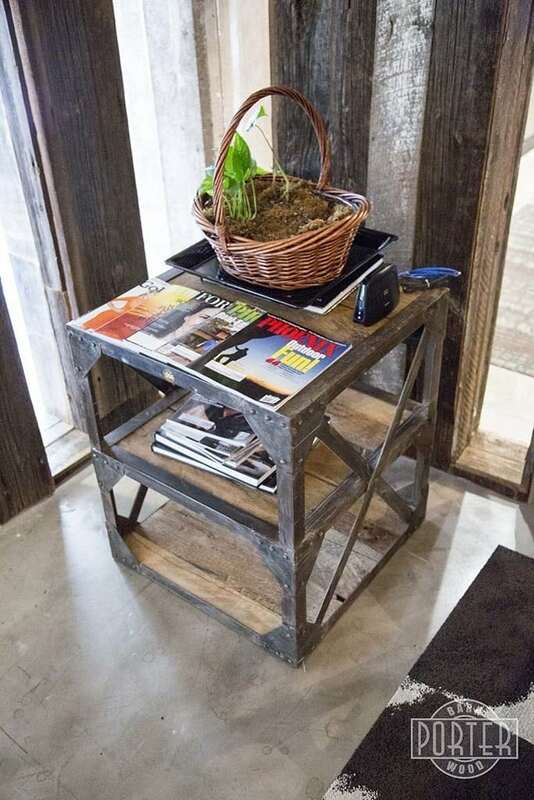 Architect Hayes McNeil incorporated some of our barn wood siding into their rustic modern industrial space bringing in other elements like sliding office doors, glue lam desk and table tops, and unique furniture. 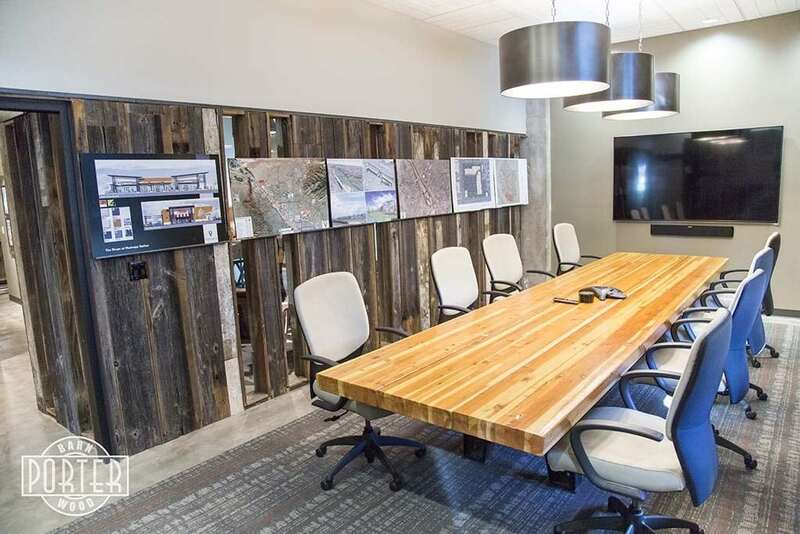 Materials we supplied include reclaimed hemlock siding and bead board from Pennsylvania.